Với các biện pháp kiểm soát như hiện nay đã góp phần không nhỏ vào khống chế sót rét, bên cạnh đó vai trò của các công cụ sinh học phân tử cũng đóng vai trò then chốt và có giá trị nhất định để đánh giá tình trạng người mang ký sinh trùng không triệu chứng và ký sinh trùng hay muỗi kháng hóa chất. Dưới đây là một số nghiên cứu được thực hiện trong thời gian qua về vai trò sinh học phân tử trong lĩnh vực sốt rét. Optimal health and disease management using spatial uncertainty: a geographic characterization of emergent artemisinin-resistant Plasmodium falciparum distributions in Southeast Asia. Grist EP, Flegg JA, Humphreys G, Mas IS, Anderson TJ, Ashley EA, Day NP, Dhorda M, Dondorp AM, Faiz MA, Gething PW, Hien TT, Hlaing TM, Imwong M, Kindermans JM, Maude RJ, Mayxay M, McDew-White M, Menard D, Nair S, Nosten F, Newton PN, Price RN, Pukrittayakamee S, Takala-Harrison S, Smithuis F, Nguyen NT, Tun KM, White NJ, Witkowski B, Woodrow CJ, Fairhurst RM, Sibley CH, Guerin PJ. Int J Health Geogr. 2016 Oct 24;15(1):37. Lack of artemisinin resistance in Plasmodium falciparum in northwest Benin after 10 years of use of artemisinin-based combination therapy. Ogouyèmi-Hounto A, Damien G, Deme AB, Ndam NT, Assohou C, Tchonlin D, Mama A, Hounkpe VO, Moutouama JD, Remoué F, Ndiaye D, Gazard DK. Parasite. 2016;23:28. doi: 10.1051/parasite/2016028. Epub 2016 Jul 21. Polymorphisms of the artemisinin resistant marker (K13) in Plasmodium falciparum parasite populations of Grande Comore Island 10 years after artemisinin combination therapy. Huang B, Deng C, Yang T, Xue L, Wang Q, Huang S, Su XZ, Liu Y, Zheng S, Guan Y, Xu Q, Zhou J, Yuan J, Bacar A, Abdallah KS, Attoumane R, Mliva AM, Zhong Y, Lu F, Song J.
Parasit Vectors. 2015 Dec 15;8:634. doi: 10.1186/s13071-015-1253-z. The challenge of artemisinin resistance can o­nly be met by eliminating Plasmodium falciparum malaria across the Greater Mekong subregion. Smith Gueye C, Newby G, Hwang J, Phillips AA, Whittaker M, MacArthur JR, Gosling RD, Feachem RG. Malar J. 2014 Jul 27;13:286. doi: 10.1186/1475-2875-13-286. Artemisinin resistance-associated polymorphisms at the K13-propeller locus are absent in Plasmodium falciparum isolates from Haiti. Carter TE, Boulter A, Existe A, Romain JR, St Victor JY, Mulligan CJ, Okech BA. Am J Trop Med Hyg. 2015 Mar;92(3):552-4. doi: 10.4269/ajtmh.14-0664. Epub 2015 Feb 2. Artemisinin resistance--the clock is ticking. Lancet. 2010 Dec 18;376(9758):2051-2. doi: 10.1016/S0140-6736(10)61963-0. No abstract available. Novel mutations in K13 propeller gene of artemisinin-resistant Plasmodium falciparum. Isozumi R, Uemura H, Kimata I, Ichinose Y, Logedi J, Omar AH, Kaneko A.
Emerg Infect Dis. 2015 Mar;21(3):490-2. doi: 10.3201/eid2103.140898. The threat of artemisinin resistant malaria in Southeast Asia. Travel Med Infect Dis. 2016 Nov - Dec;14(6):548-550. doi: 10.1016/j.tmaid.2016.11.016. Epub 2016 Nov 30. No abstract available. FEMS Microbiol Rev. 2017 Jan;41(1):34-48. doi: 10.1093/femsre/fuw037. Epub 2016 Sep 8. Review. Vector control to eliminate artemisinin resistant malaria in the Greater Mekong subregion. Kolaczinski J, Macdonald M, Meek S.
Lancet Infect Dis. 2014 Jan;14(1):9-11. doi: 10.1016/S1473-3099(13)70320-7. No abstract available. [Artemisinin resistance in Plasmodium falciparum: global status and basic research]. Zhongguo Ji Sheng Chong Xue Yu Ji Sheng Chong Bing Za Zhi. 2014 Oct;32(5):380-4. Review. Chinese. 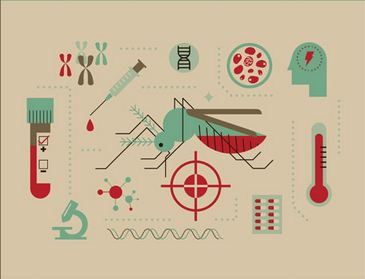 How genomics is contributing to the fight against artemisinin-resistant malaria parasites. Cravo P, Napolitano H, Culleton R.
Acta Trop. 2015 Aug;148:1-7. doi: 10.1016/j.actatropica.2015.04.007. Epub 2015 Apr 21. Review. Bosman P, Stassijns J, Nackers F, Canier L, Kim N, Khim S, Alipon SC, Chuor Char M, Chea N, Dysoley L, Van den Bergh R, Etienne W, De Smet M, Ménard D, Kindermans JM. Malar J. 2014 Oct 6;13:394. doi: 10.1186/1475-2875-13-394. Fighting drug-resistant Plasmodium falciparum: the challenge of artemisinin resistance. Clin Microbiol Infect. 2013 Oct;19(10):908-16. doi: 10.1111/1469-0691.12316. Epub 2013 Sep 3. Review. Kamau E, Campino S, Amenga-Etego L, Drury E, Ishengoma D, Johnson K, Mumba D, Kekre M, Yavo W, Mead D, Bouyou-Akotet M, Apinjoh T, Golassa L, Randrianarivelojosia M, Andagalu B, Maiga-Ascofare O, Amambua-Ngwa A, Tindana P, Ghansah A, MacInnis B, Kwiatkowski D, Djimde AA. J Infect Dis. 2015 Apr 15;211(8):1352-5. doi: 10.1093/infdis/jiu608. Epub 2014 Nov 2. Erratum in: J Infect Dis. 2016 Jan 15;213(2):327. Taylor SM, Parobek CM, DeConti DK, Kayentao K, Coulibaly SO, Greenwood BM, Tagbor H, Williams J, Bojang K, Njie F, Desai M, Kariuki S, Gutman J, Mathanga DP, Mårtensson A, Ngasala B, Conrad MD, Rosenthal PJ, Tshefu AK, Moormann AM, Vulule JM, Doumbo OK, Ter Kuile FO, Meshnick SR, Bailey JA, Juliano JJ. J Infect Dis. 2015 Mar 1;211(5):680-8. doi: 10.1093/infdis/jiu467. Epub 2014 Sep 1. Natural selection of K13 mutants of Plasmodium falciparum in response to artemisinin combination therapies in Thailand. Putaporntip C, Kuamsab N, Kosuwin R, Tantiwattanasub W, Vejakama P, Sueblinvong T, Seethamchai S, Jongwutiwes S, Hughes AL. Clin Microbiol Infect. 2016 Mar;22(3):285.e1-8. doi: 10.1016/j.cmi.2015.10.027. Epub 2015 Nov 5. Plasmodium falciparum malaria: Convergent evolutionary trajectories towards delayed clearance following artemisinin treatment. Wilairat P, Kümpornsin K, Chookajorn T.
Med Hypotheses. 2016 May;90:19-22. doi: 10.1016/j.mehy.2016.02.022. Epub 2016 Mar 4. Torrentino-Madamet M, Fall B, Benoit N, Camara C, Amalvict R, Fall M, Dionne P, Ba Fall K, Nakoulima A, Diatta B, Diemé Y, Ménard D, Wade B, Pradines B.
Malar J. 2014 Dec 4;13:472. doi: 10.1186/1475-2875-13-472. Drug resistance. K13-propeller mutations confer artemisinin resistance in Plasmodium falciparum clinical isolates. Straimer J, Gnädig NF, Witkowski B, Amaratunga C, Duru V, Ramadani AP, Dacheux M, Khim N, Zhang L, Lam S, Gregory PD, Urnov FD, Mercereau-Puijalon O, Benoit-Vical F, Fairhurst RM, Ménard D, Fidock DA. Science. 2015 Jan 23;347(6220):428-31. doi: 10.1126/science.1260867. Epub 2014 Dec 11. Assessing the asymptomatic reservoir and dihydroartemisinin-piperaquine effectiveness in a low transmission setting threatened by artemisinin resistant Plasmodium falciparum. Falq G, Van Den Bergh R, De Smet M, Etienne W, Nguon C, Rekol H, Imwong M, Dondorp A, Kindermans JM. Malar J. 2016 Sep 1;15(1):446. doi: 10.1186/s12936-016-1487-z. Menard S, Tchoufack JN, Maffo CN, Nsango SE, Iriart X, Abate L, Tsapi MT, Awono-Ambéné PH, Abega Mekongo FA, Morlais I, Berry A.
Malar J. 2016 Nov 26;15(1):572. Evolution of Plasmodium falciparum drug resistance: implications for the development and containment of artemisinin resistance. Jpn J Infect Dis. 2012;65(6):465-75. Review. Plasmodium falciparum kelch 13: a potential molecular marker for tackling artemisinin-resistant malaria parasites. Mita T, Tachibana S, Hashimoto M, Hirai M.
Expert Rev Anti Infect Ther. 2016;14(1):125-35. doi: 10.1586/14787210.2016.1106938. Epub 2015 Nov 4. Review. Talundzic E, Okoth SA, Congpuong K, Plucinski MM, Morton L, Goldman IF, Kachur PS, Wongsrichanalai C, Satimai W, Barnwell JW, Udhayakumar V.
PLoS Pathog. 2015 Apr 2;11(4):e1004789. doi: 10.1371/journal.ppat.1004789. eCollection 2015 Apr. Erratum in: PLoS Pathog. 2015 Apr;11(4):e1004862. Dondorp AM, Smithuis FM, Woodrow C, Seidlein LV. Trends Parasitol. 2017 May;33(5):353-363. doi: 10.1016/j.pt.2017.01.004. Epub 2017 Feb 7. Review. 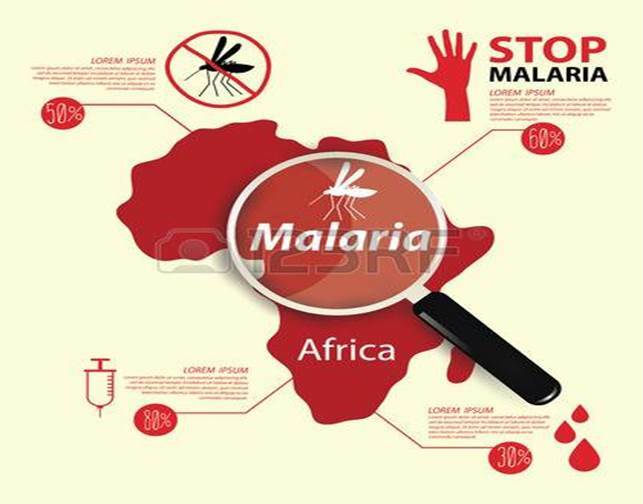 The threat of artemisinin-resistant malaria. Dondorp AM, Fairhurst RM, Slutsker L, Macarthur JR, Breman JG, Guerin PJ, Wellems TE, Ringwald P, Newman RD, Plowe CV. N Engl J Med. 2011 Sep 22;365(12):1073-5. doi: 10.1056/NEJMp1108322. No abstract available. Tacoli C, Gai PP, Bayingana C, Sifft K, Geus D, Ndoli J, Sendegeya A, Gahutu JB, Mockenhaupt FP. Am J Trop Med Hyg. 2016 Nov 2;95(5):1090-1093. Epub 2016 Aug 29. Elife. 2016 Mar 4;5. pii: e08714. doi: 10.7554/eLife.08714. Muwanguzi J, Henriques G, Sawa P, Bousema T, Sutherland CJ, Beshir KB. Malar J. 2016 Jan 22;15:36. doi: 10.1186/s12936-016-1095-y. Slow Clearance of Plasmodium falciparum in Severe Pediatric Malaria, Uganda, 2011-2013. Hawkes M, Conroy AL, Opoka RO, Namasopo S, Zhong K, Liles WC, John CC, Kain KC. Emerg Infect Dis. 2015 Jul;21(7):1237-9. doi: 10.3201/eid2107.150213. Artemisinin derivatives and malaria: useful, in combination with other antimalarials. Polymorphisms in K13 and falcipain-2 associated with artemisinin resistance are not prevalent in Plasmodium falciparum isolated from Ugandan children. Conrad MD, Bigira V, Kapisi J, Muhindo M, Kamya MR, Havlir DV, Dorsey G, Rosenthal PJ. PLoS o­ne. 2014 Aug 21;9(8):e105690. doi: 10.1371/journal.pone.0105690. eCollection 2014. Artemisinin resistance at the China-Myanmar border and association with mutations in the K13 propeller gene. Wang Z, Wang Y, Cabrera M, Zhang Y, Gupta B, Wu Y, Kemirembe K, Hu Y, Liang X, Brashear A, Shrestha S, Li X, Miao J, Sun X, Yang Z, Cui L.
Antimicrob Agents Chemother. 2015 Nov;59(11):6952-9. doi: 10.1128/AAC.01255-15. Epub 2015 Aug 31. An outbreak of artemisinin resistant falciparum malaria in Eastern Thailand. Imwong M, Jindakhad T, Kunasol C, Sutawong K, Vejakama P, Dondorp AM. Sci Rep. 2015 Nov 30;5:17412. doi: 10.1038/srep17412. Monitoring for Plasmodium falciparum drug resistance to artemisinin and artesunate in Binh Phuoc Province, Vietnam: 1998-2009. 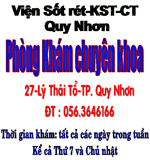 Thanh NV, Toan TQ, Cowman AF, Casey GJ, Phuc BQ, Tien NT, Hung NM, Biggs BA. Malar J. 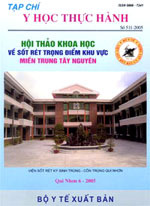 2010 Jun 24;9:181. doi: 10.1186/1475-2875-9-181. The last man standing is the most resistant: eliminating artemisinin-resistant malaria in Cambodia. Maude RJ, Pontavornpinyo W, Saralamba S, Aguas R, Yeung S, Dondorp AM, Day NP, White NJ, White LJ. Malar J. 2009 Feb 20;8:31. doi: 10.1186/1475-2875-8-31. Duru V, Witkowski B, Ménard D.
Am J Trop Med Hyg. 2016 Dec 7;95(6):1228-1238. Epub 2016 Oct 17. Review. K13 mutations and pfmdr1 copy number variation in Plasmodium falciparum malaria in Myanmar. Win AA, Imwong M, Kyaw MP, Woodrow CJ, Chotivanich K, Hanboonkunupakarn B, Pukrittayakamee S.
Malar J. 2016 Feb 24;15:110. doi: 10.1186/s12936-016-1147-3. Erratum in: Malar J. 2016;15(1):297. Detection of artemisinin-resistant Plasmodium falciparum in malarial infection: a brief review of methods. J Trop Pediatr. 2010 Apr;56(2):119-21. doi: 10.1093/tropej/fmp074. Epub 2009 Aug 5. Review. Challenges and prospects for malaria elimination in the Greater Mekong Subregion. Cui L, Yan G, Sattabongkot J, Chen B, Cao Y, Fan Q, Parker D, Sirichaisinthop J, Su XZ, Yang H, Yang Z, Wang B, Zhou G.
Acta Trop. 2012 Mar;121(3):240-5. doi: 10.1016/j.actatropica.2011.04.006. Epub 2011 Apr 14. Rapid and effective malaria control in Cambodia through mass administration of artemisinin-piperaquine. Song J, Socheat D, Tan B, Dara P, Deng C, Sokunthea S, Seila S, Ou F, Jian H, Li G.
Malar J. 2010 Feb 23;9:57. doi: 10.1186/1475-2875-9-57. The emerging threat of artemisinin resistance in malaria: focus o­n artemether-lumefantrine. Djimde AA, Makanga M, Kuhen K, Hamed K.
Expert Rev Anti Infect Ther. 2015 Aug;13(8):1031-45. doi: 10.1586/14787210.2015.1052793. Epub 2015 Jun 16. Review. Molecular assessment of artemisinin resistance markers, polymorphisms in the k13 propeller, and a multidrug-resistance gene in the eastern and western border areas of Myanmar. Nyunt MH, Hlaing T, Oo HW, Tin-Oo LL, Phway HP, Wang B, Zaw NN, Han SS, Tun T, San KK, Kyaw MP, Han ET. Clin Infect Dis. 2015 Apr 15;60(8):1208-15. doi: 10.1093/cid/ciu1160. Epub 2014 Dec 23. Current status of artemisinin-resistant falciparum malaria in South Asia: a randomized controlled artesunate monotherapy trial in Bangladesh. Starzengruber P, Swoboda P, Fuehrer HP, Khan WA, Hofecker V, Siedl A, Fally M, Graf O, Teja-Isavadharm P, Haque R, Ringwald P, Noedl H.
PLoS o­ne. 2012;7(12):e52236. doi: 10.1371/journal.pone.0052236. Epub 2012 Dec 18. Artemisinin resistance: how can we find it? Trends Parasitol. 2005 Sep;21(9):404-5. No abstract available. Recent clinical and molecular insights into emerging artemisinin resistance in Plasmodium falciparum. O'Brien C, Henrich PP, Passi N, Fidock DA. Curr Opin Infect Dis. 2011 Dec;24(6):570-7. doi: 10.1097/QCO.0b013e32834cd3ed. Review. Chenet SM, Akinyi Okoth S, Huber CS, Chandrabose J, Lucchi NW, Talundzic E, Krishnalall K, Ceron N, Musset L, Macedo de Oliveira A, Venkatesan M, Rahman R, Barnwell JW, Udhayakumar V.
J Infect Dis. 2016 May 1;213(9):1472-5. doi: 10.1093/infdis/jiv752. Epub 2015 Dec 21. Menegon M, Nurahmed AM, Talha AA, Nour BY, Severini C.
Acta Trop. 2016 May;157:158-61. doi: 10.1016/j.actatropica.2016.02.007. Epub 2016 Feb 11. Induction of Multidrug Tolerance in Plasmodium falciparum by Extended Artemisinin Pressure. Ménard S, Ben Haddou T, Ramadani AP, Ariey F, Iriart X, Beghain J, Bouchier C, Witkowski B, Berry A, Mercereau-Puijalon O, Benoit-Vical F.
Emerg Infect Dis. 2015 Oct;21(10):1733-41. doi: 10.3201/eid2110.150682. Lack of Artemisinin Resistance in Plasmodium falciparum in Uganda Based o­n Parasitological and Molecular Assays. Cooper RA, Conrad MD, Watson QD, Huezo SJ, Ninsiima H, Tumwebaze P, Nsobya SL, Rosenthal PJ. Antimicrob Agents Chemother. 2015 Aug;59(8):5061-4. doi: 10.1128/AAC.00921-15. Epub 2015 Jun 1. Artemisinin resistance containment project in Thailand. (I): Implementation of electronic-based malaria information system for early case detection and individual case management in provinces along the Thai-Cambodian border. Khamsiriwatchara A, Sudathip P, Sawang S, Vijakadge S, Potithavoranan T, Sangvichean A, Satimai W, Delacollette C, Singhasivanon P, Lawpoolsri S, Kaewkungwal J.
Malar J. 2012 Jul 29;11:247. doi: 10.1186/1475-2875-11-247. Emergence of Indigenous Artemisinin-Resistant Plasmodium falciparum in Africa. Lu F, Culleton R, Zhang M, Ramaprasad A, von Seidlein L, Zhou H, Zhu G, Tang J, Liu Y, Wang W, Cao Y, Xu S, Gu Y, Li J, Zhang C, Gao Q, Menard D, Pain A, Yang H, Zhang Q, Cao J.
N Engl J Med. 2017 Mar 9;376(10):991-3. doi: 10.1056/NEJMc1612765. Epub 2017 Feb 22. No abstract available. Is the A578S Single-Nucleotide Polymorphism in K13-propeller a Marker of Emerging Resistance to Artemisinin Among Plasmodium falciparum in Africa? J Infect Dis. 2016 Jan 1;213(1):165-6. doi: 10.1093/infdis/jiv414. Epub 2015 Aug 12. No abstract available. The benefits of artemisinin combination therapy for malaria extend beyond the individual patient. PLoS Med. 2005 Apr;2(4):e105. Epub 2005 Apr 26. No abstract available. BMC Med. 2015 Mar 31;13:67. doi: 10.1186/s12916-015-0316-5. Parasite clearance rates in Upper Myanmar indicate a distinctive artemisinin resistance phenotype: a therapeutic efficacy study. Tun KM, Jeeyapant A, Imwong M, Thein M, Aung SS, Hlaing TM, Yuentrakul P, Promnarate C, Dhorda M, Woodrow CJ, Dondorp AM, Ashley EA, Smithuis FM, White NJ, Day NP. Malar J. 2016 Mar 31;15:185. doi: 10.1186/s12936-016-1240-7. Evaluation of community-based systems for the surveillance of day three-positive Plasmodium falciparum cases in Western Cambodia. Cox J, Dy Soley L, Bunkea T, Sovannaroth S, Soy Ty K, Ngak S, Bjorge S, Ringwald P, Mellor S, Sintasath D, Meek S.
Malar J. 2014 Jul 22;13:282. doi: 10.1186/1475-2875-13-282. Drug resistance genomics of the antimalarial drug artemisinin. Genome Biol. 2014 Nov 25;15(11):544. doi: 10.1186/s13059-014-0544-6. Review. Travellers as sentinels: Assaying the worldwide distribution of polymorphisms associated with artemisinin combination therapy resistance in Plasmodium falciparum using malaria cases imported into Scotland. Hunja CW, Unger H, Ferreira PE, Lumsden R, Morris S, Aman R, Alexander C, Mita T, Culleton R.
Int J Parasitol. 2013 Oct;43(11):885-9. doi: 10.1016/j.ijpara.2013.07.001. Epub 2013 Jul 27. Lucchi NW, Komino F, Okoth SA, Goldman I, o­nyona P, Wiegand RE, Juma E, Shi YP, Barnwell JW, Udhayakumar V, Kariuki S.
Antimicrob Agents Chemother. 2015 Dec;59(12):7540-7. doi: 10.1128/AAC.01894-15. Epub 2015 Sep 21. A Single Mutation in K13 Predominates in Southern China and Is Associated With Delayed Clearance of Plasmodium falciparum Following Artemisinin Treatment. Huang F, Takala-Harrison S, Jacob CG, Liu H, Sun X, Yang H, Nyunt MM, Adams M, Zhou S, Xia Z, Ringwald P, Bustos MD, Tang L, Plowe CV. J Infect Dis. 2015 Nov 15;212(10):1629-35. doi: 10.1093/infdis/jiv249. Epub 2015 Apr 24. Mbengue A, Bhattacharjee S, Pandharkar T, Liu H, Estiu G, Stahelin RV, Rizk SS, Njimoh DL, Ryan Y, Chotivanich K, Nguon C, Ghorbal M, Lopez-Rubio JJ, Pfrender M, Emrich S, Mohandas N, Dondorp AM, Wiest O, Haldar K.
Nature. 2015 Apr 30;520(7549):683-7. doi: 10.1038/nature14412. Epub 2015 Apr 15. Artemisinin resistance in Plasmodium falciparum: what is it really? Ferreira PE, Culleton R, Gil JP, Meshnick SR.
Trends Parasitol. 2013 Jul;29(7):318-20. doi: 10.1016/j.pt.2013.05.002. Epub 2013 Jun 11. Noedl H, Socheat D, Satimai W.
N Engl J Med. 2009 Jul 30;361(5):540-1. doi: 10.1056/NEJMc0900231. No abstract available. [More artemisinin-resistant malaria in Thailand]. Tidsskr Nor Laegeforen. 2012 May 29;132(10):1223. Norwegian. No abstract available. A crucial piece in the puzzle of the artemisinin resistance mechanism in Plasmodium falciparum. Bozdech Z, Ferreira PE, Mok S.
Trends Parasitol. 2015 Aug;31(8):345-6. doi: 10.1016/j.pt.2015.06.004. Epub 2015 Jul 11. Benoit-Vical F, Paloque L, Augereau JM. Bull Acad Natl Med. 2016 Mar;200(3):477-89; discussion 490. Review. French. 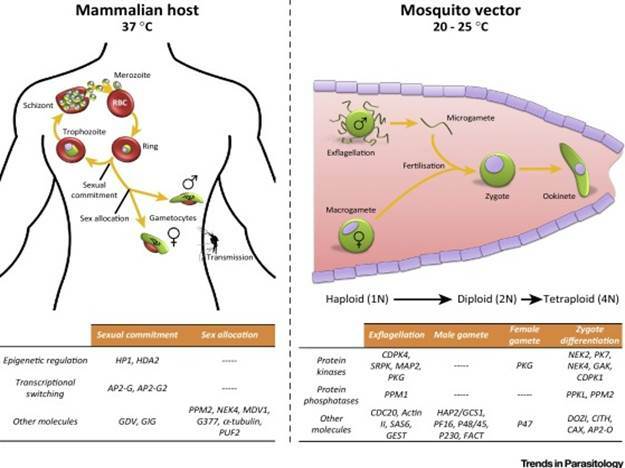 The development of artemisinin resistance in malaria: reasons and solutions. Phytother Res. 2010 Jul;24(7):1104-6. doi: 10.1002/ptr.3133. Mutation analysis in pfmdr1 and pfmrp1 as potential candidate genes for artemisinin resistance in Plasmodium falciparum clinical isolates 4years after implementation of artemisinin combination therapy in Iran. Pirahmadi S, Zakeri S, Afsharpad M, Djadid ND. Infect Genet Evol. 2013 Mar;14:327-34. doi: 10.1016/j.meegid.2012.12.014. Epub 2012 Dec 31. Updates o­n k13 mutant alleles for artemisinin resistance in Plasmodium falciparum. Zaw MT, Emran NA, Lin Z.
J Microbiol Immunol Infect. 2018 Apr;51(2):159-165. doi: 10.1016/j.jmii.2017.06.009. Epub 2017 Jun 29. Review. More insights into the pharmacological effects of artemisinin. Zyad A, Tilaoui M, Jaafari A, Oukerrou MA, Mouse HA. Phytother Res. 2018 Feb;32(2):216-229. doi: 10.1002/ptr.5958. Epub 2017 Nov 28. Review. Quantifying aggregated uncertainty in Plasmodium falciparum malaria prevalence and populations at risk via efficient space-time geostatistical joint simulation. Gething PW, Patil AP, Hay SI. PLoS Comput Biol. 2010 Apr 1;6(4):e1000724. doi: 10.1371/journal.pcbi.1000724. Lancet Infect Dis. 2018 Mar;18(3):238-239. doi: 10.1016/S1473-3099(18)30071-9. Epub 2018 Feb 2. No abstract available.